Start with Primaloft insulation and put that on the core where you need massive wamrth. Then take Under Armour's windproof softershell fabric and put that across the arms and shoulders-where you take the brunt of the wind. What you get is a lightweight hybrid that layers easily under a shell and protects you from the cold off the hill. Start with Primaloft insulation and put that on the core where you need massive wamrth. Then take Under Armour&apos;s windproof softershell fabric and put that across the arms and shoulders-where you take the brunt of the wind. 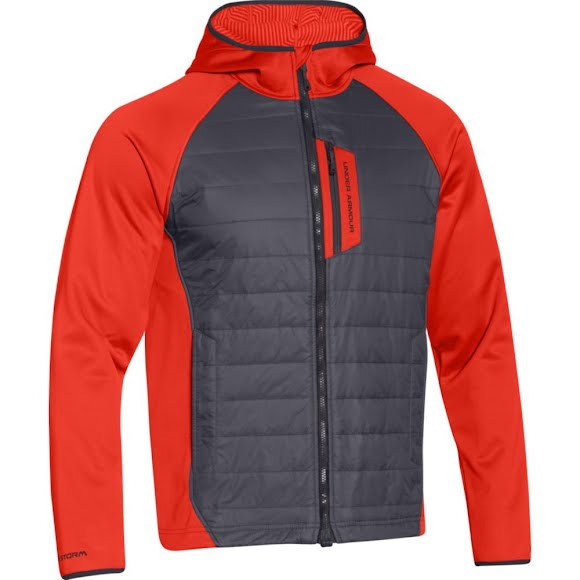 What you get is a lightweight hybrid that layers easily under a shell and protects you from the cold off the hill. This jacket is absolutely fantastic, I find myself wearing almost daily. It is extremely comfortable and gets a lot of compliments from guys and girls. Thanks Bob Ward's for the quick shipping and for caring a product I literally couldn't find anywhere else on the internet. I will be back to buy more!! !